Christmas Gatherings Charm Pack 5" squares X 42 Cuts. 100% Cotton. 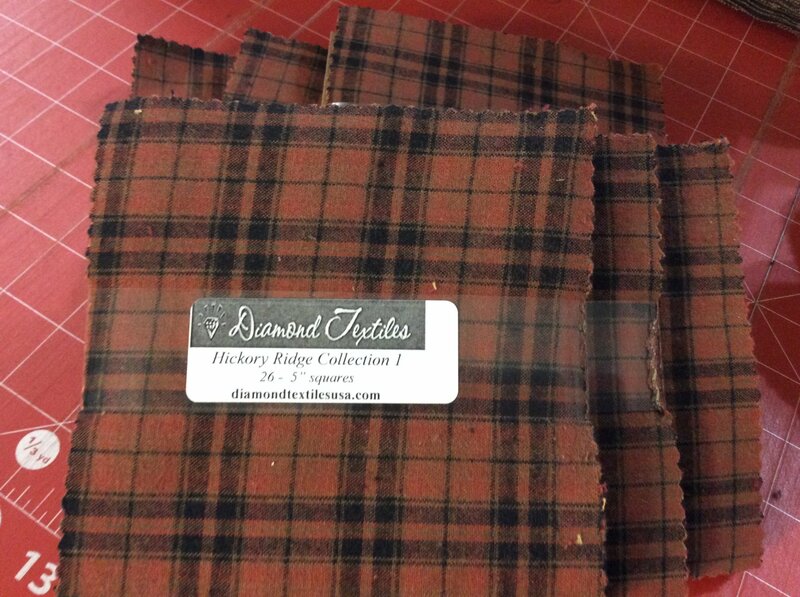 Diamond Textiles Hickory Ridge Collection 1 Charm Pack, 26-5" squares. Mosaic 5" Karat Jewels by Wilmington Batiks. 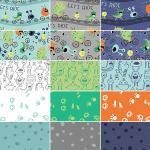 Includes 42 - 5" x 5" pieces. 100% Cotton. Needle Thread Gatherings by Primitive Gatherings for Moda. 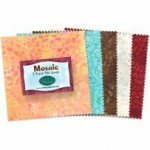 Includes 42 5" pre-cut squares with duplicates of some prints. 100% cotton. Snowman Gatherings III Mini Primitive Gatherings 100% Cotton 2 1/2"x 2 1/2"
Squares Super Bad Monsters Charm Pack (5" squares.) 42 squares per bundle; some may be duplicates. 100% cotton.